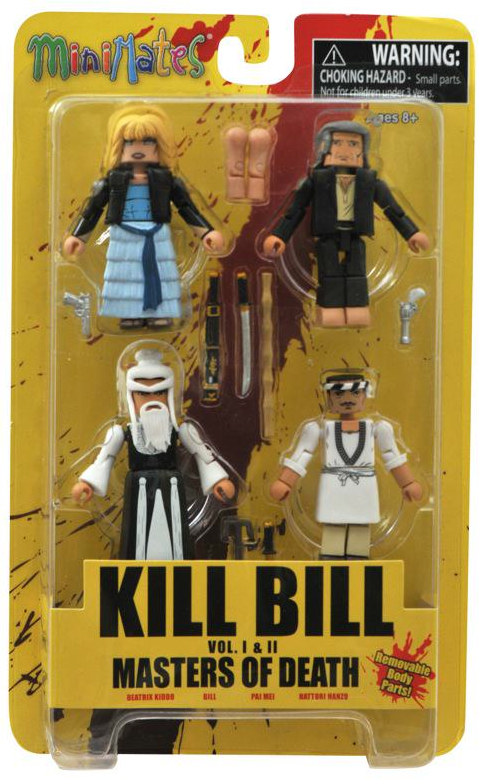 Diamond Select Toys continues their roll-out of Quentin Tarantino Movie collectibles with my favorite package so far, The Kill Bill Volume I & II Masters of Death Mini-Mates Box Set. 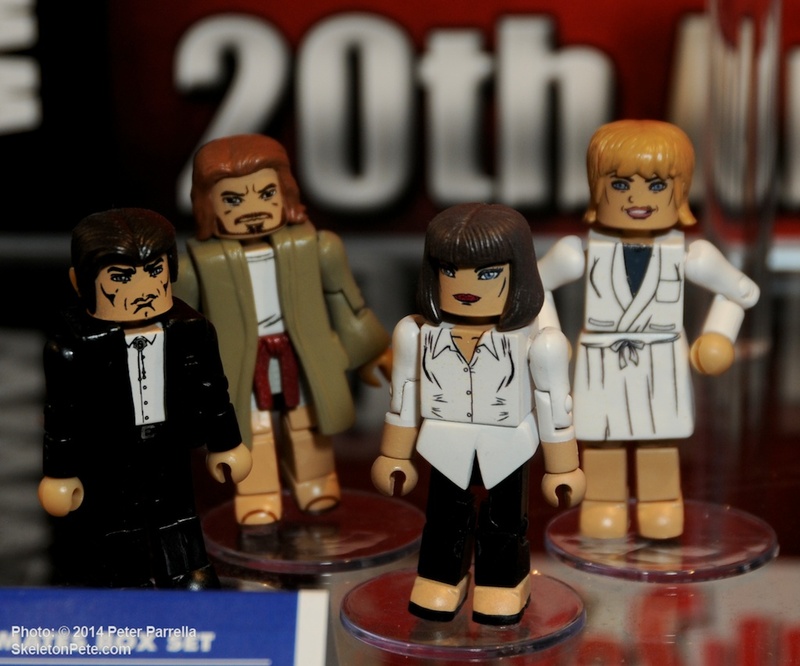 This 10th Anniversary homage finds assassin Beatrix Kiddo AKA “Black Mamba” AKA “The Bride” (Uma Thurman) and her various sensai well armed and ready for action. 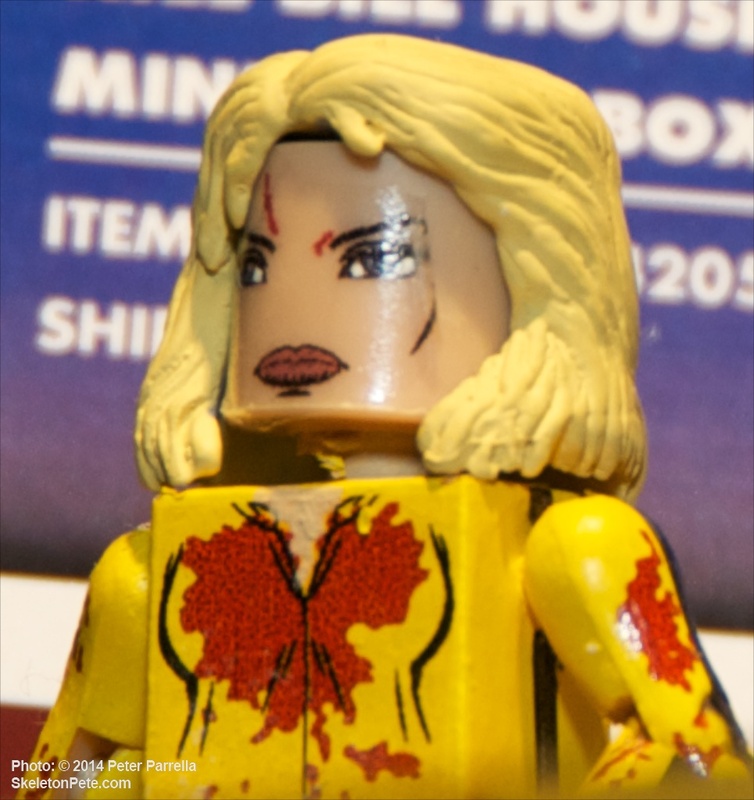 If the heart stopping five finger death punch isn’t in your bag of martial arts maneuvers, the well-honed samurai sword or array of battering sticks and pistols should do the job. 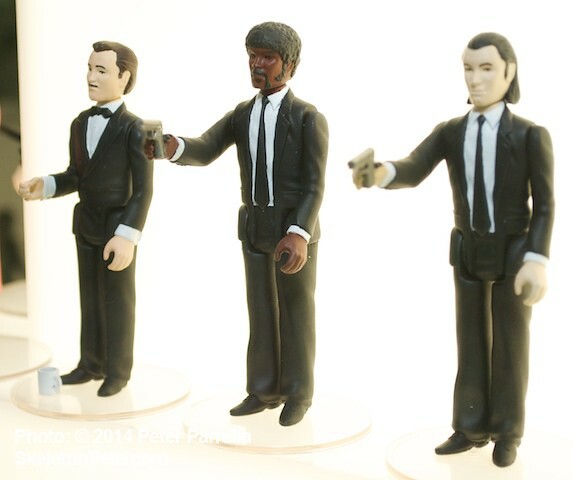 The Art Asylum designed figures include Pai Mei (Gordon Liu), Hattori Hanzo (Sonny Chiba) and – you guessed it – “Snake Charmer” Bill (David Carradine). 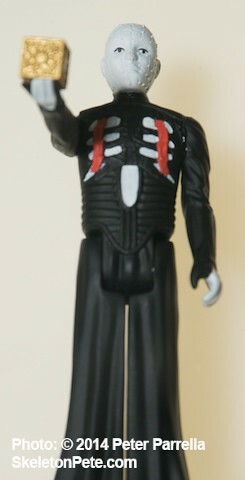 Swappable body parts add variety to the 14 points of articulation on these mini mentors. 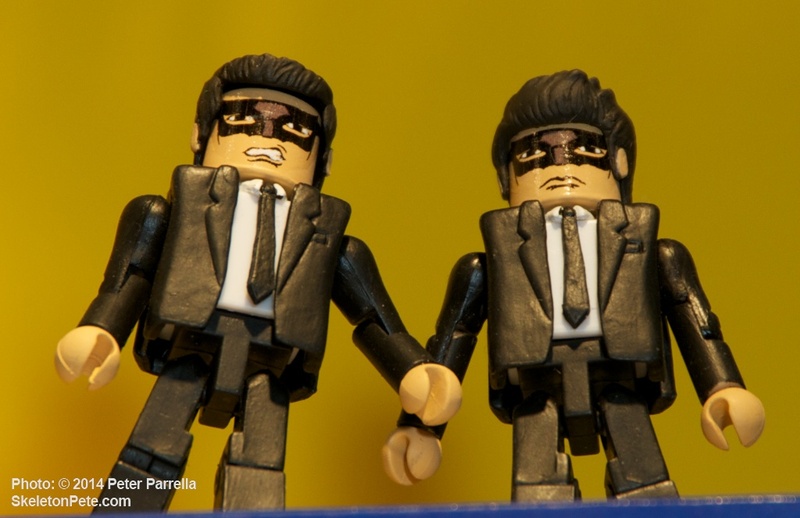 A Royale Duo. 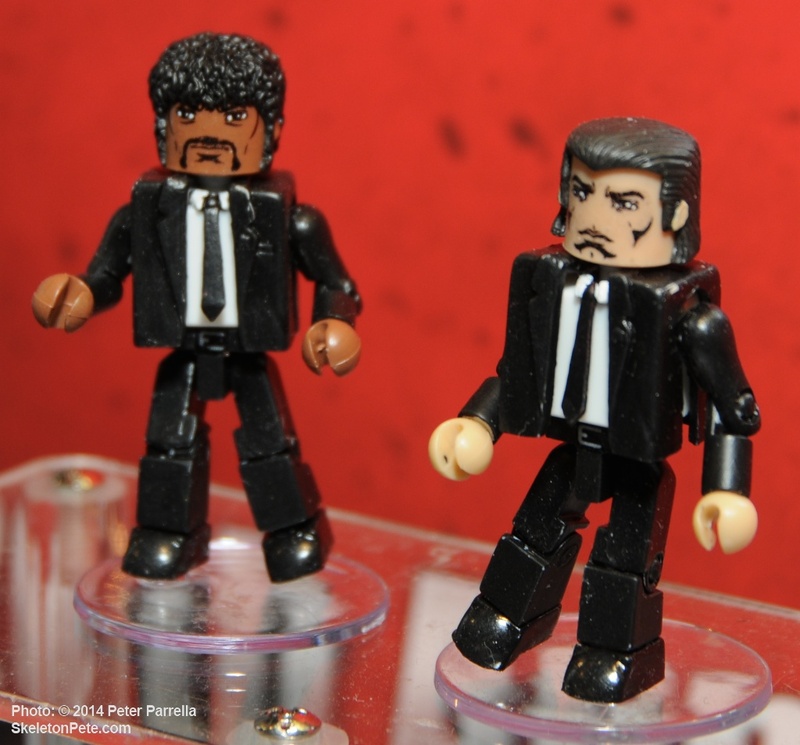 Jules and Vincent get small. 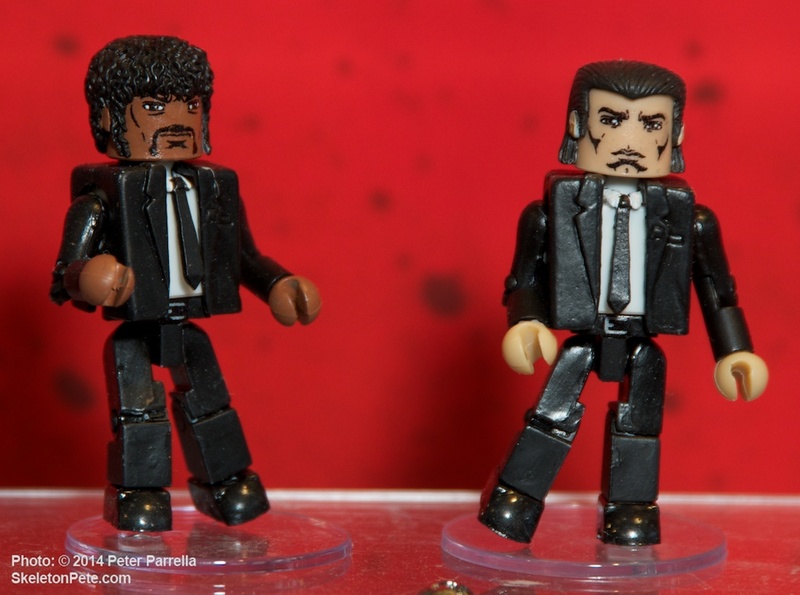 My other favorite in the DST Tarantino series are Pulp Fiction’s hit-men duo Vincent Vega (John Travolta) and Jules Winnfield (Samuel L. Jackson). 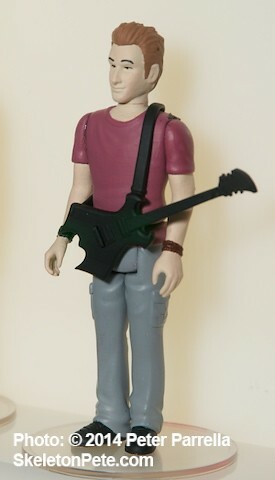 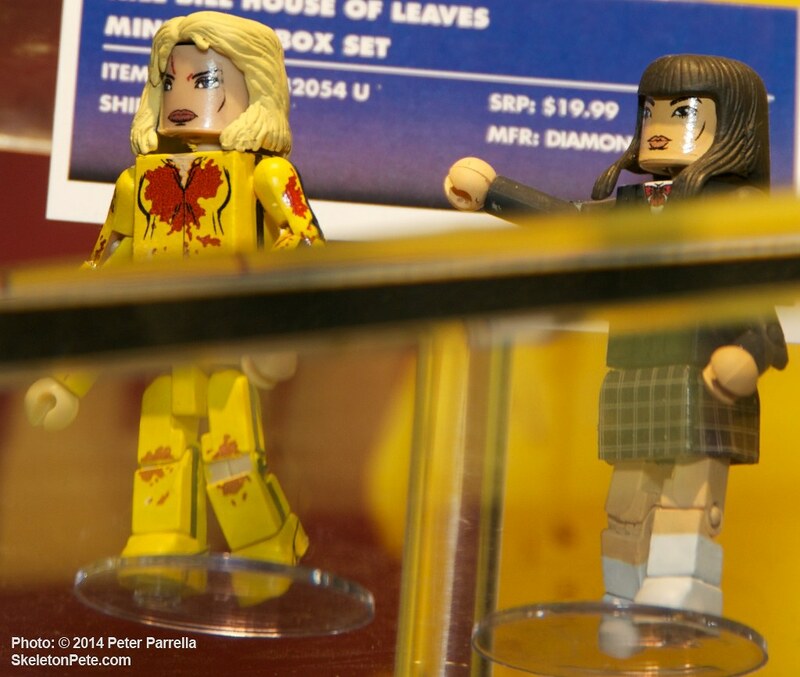 Vincent also comes ready to Batusi with Mia in the “night out” box set. 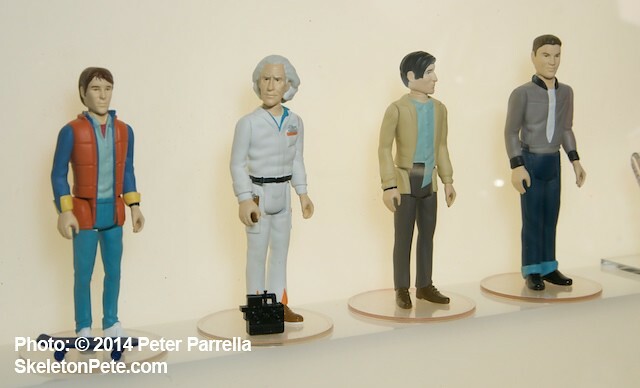 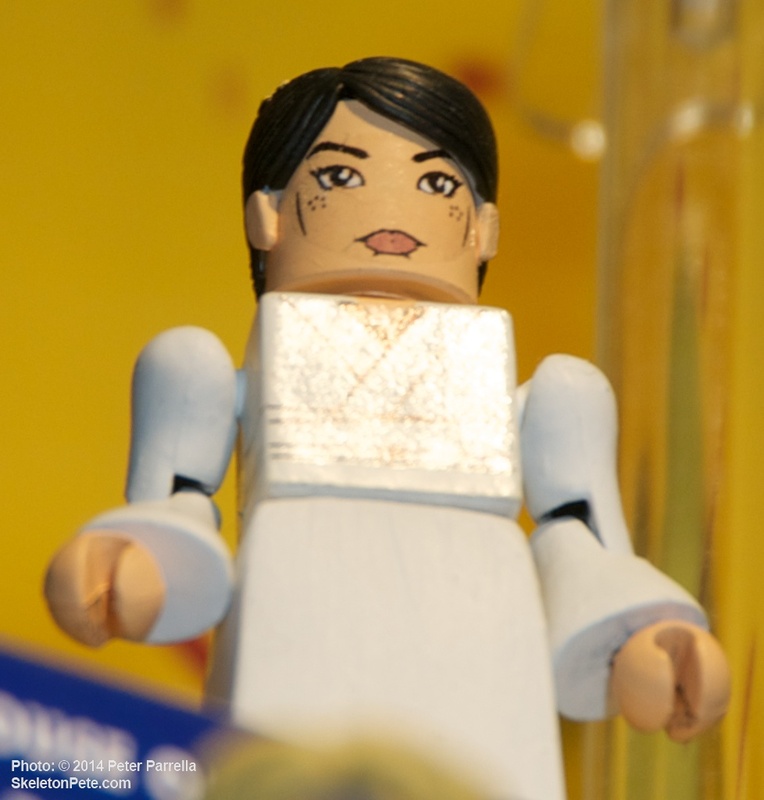 Diamond Select’s licensed Mini-Mates properties continue to grow as do my smiles at the ingenuity used to take the simple concept to new levels. 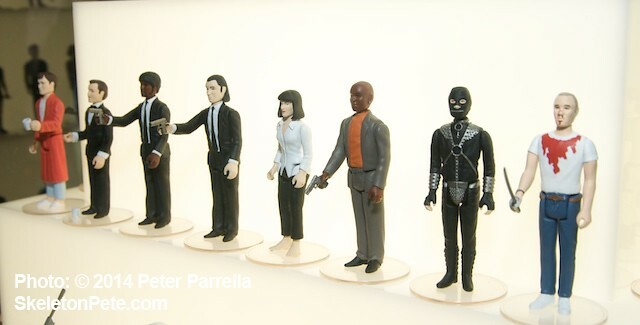 Mind you, “mini” does not denote any lack of detail as DST gets these tiny titans correct right down to Lucy Liu’s freckles and Samuel L. Jackson’s jheri curls. 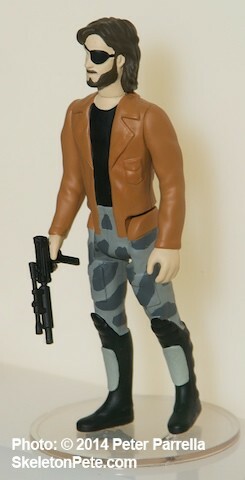 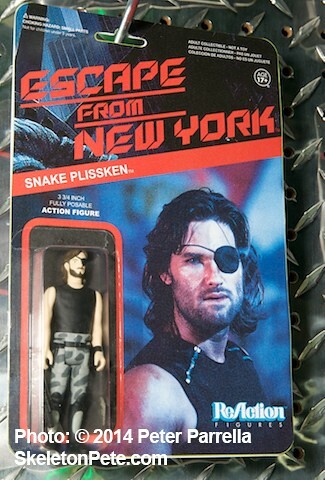 The Crow, The Creature, Rocketeer and Snake Pliskin are 4 of my favorite ReAction Figures. 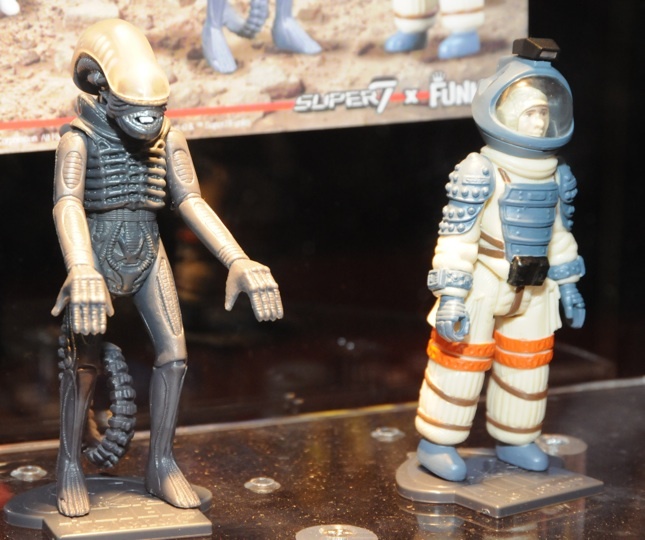 When Super7 and Funko announced their partnership in producing a 3.75 inch Alien figure set last August, they promised the collaboration would yield a lot more surprises. 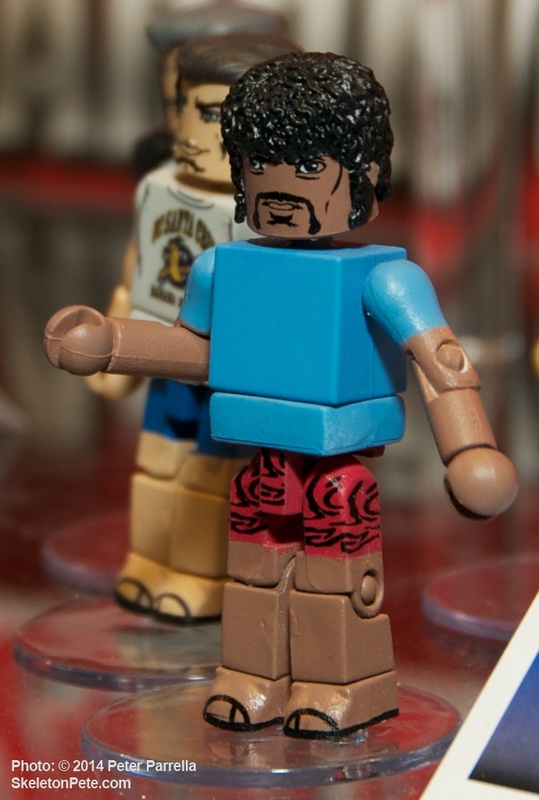 That was probably one of the biggest understatements of all time. 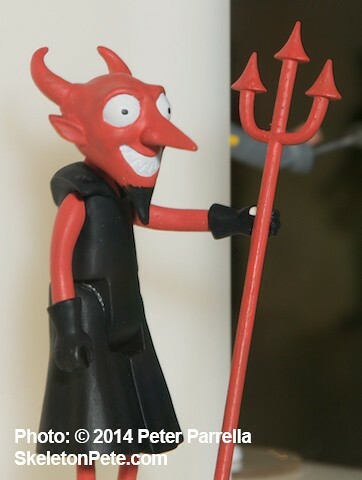 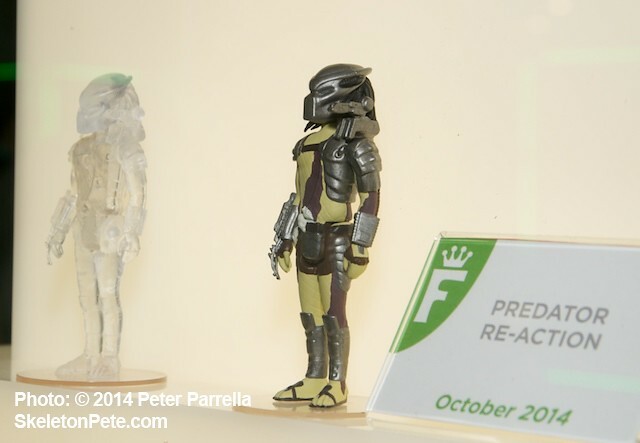 At Funko’s 2014 Toy Fair booth the companies revealed an over 60 figure roll out for the ReAction line. 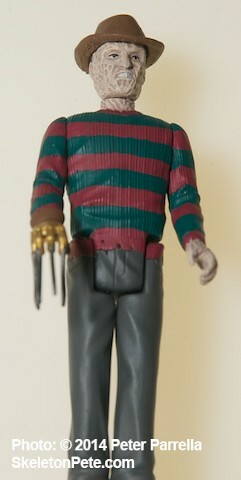 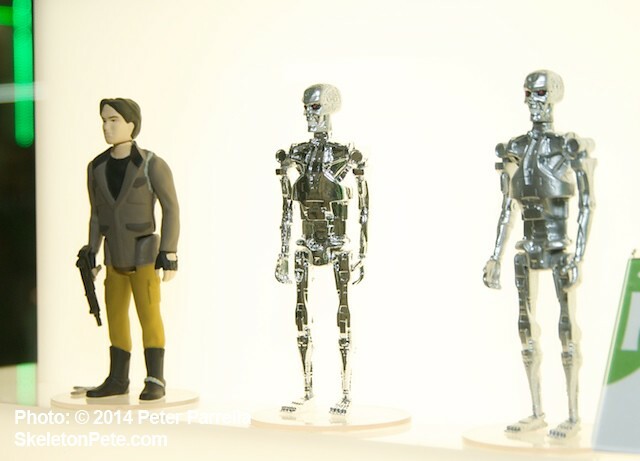 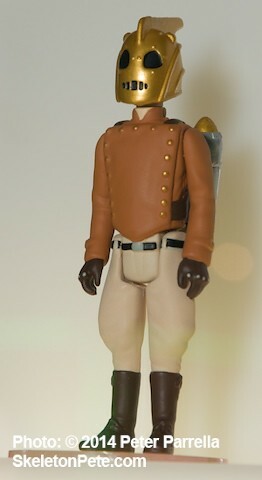 The retro feel of the characters harks back to Kenner’s Star Wars figures of the 1970’s. 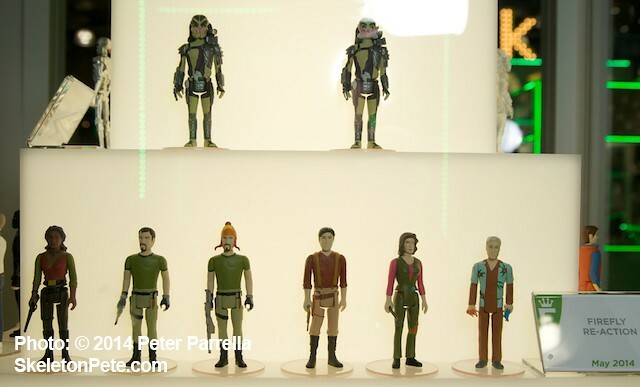 Super 7 & Funko’s ReAction Alien set will be followed by over 60 3.75″ figures. 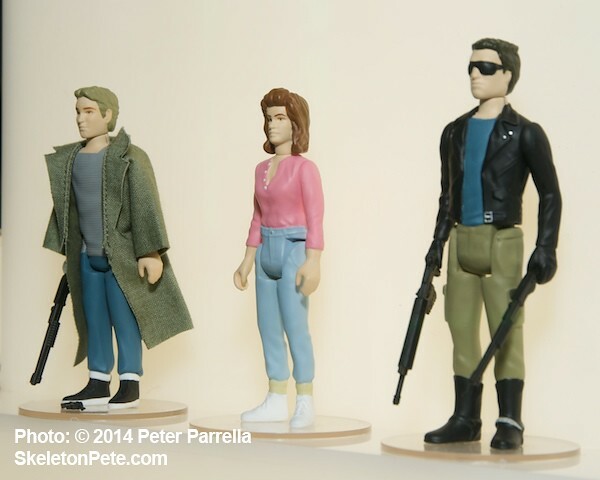 Many under served franchises like Goonies, Pulp Fiction, Escape From New York, Firefly, and the original Buffy, the Vampire Slayer film are fully represented, although sadly the Rocketeer is missing a companion Betty. 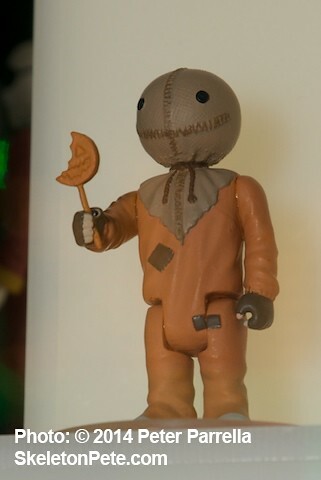 Modern monster fans will get a chance to add to their Nightmare on Elmstreet, Halloween, Friday the Thirteenth collections and also enjoy miniature spins on Sam from Trick ‘r Treat, Hellraiser‘s Pinhead Cenobite and my favorite, a pretty awesome rendition of The Crow. 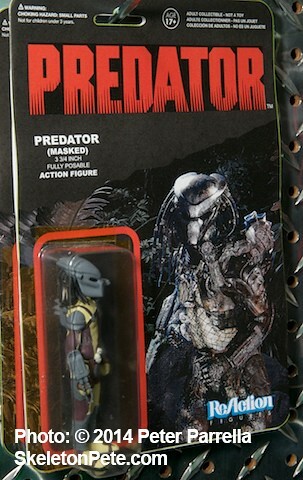 The Terminator and Predator franchises are represented too, with a cool, clear, “active camo” version of a Yautja hunter. 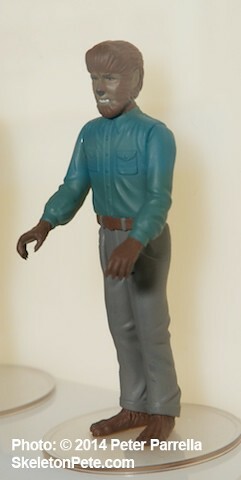 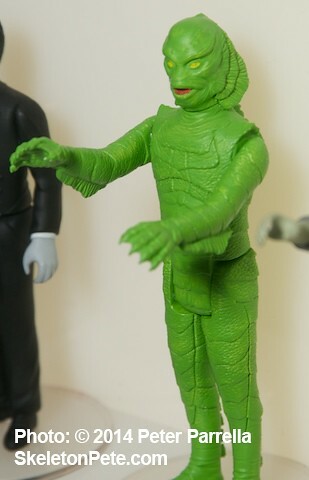 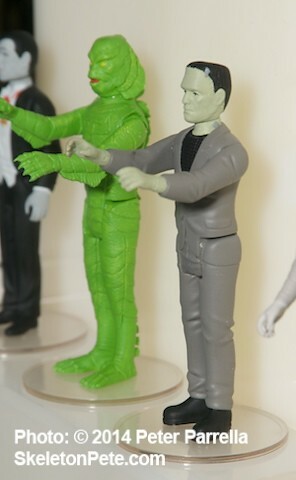 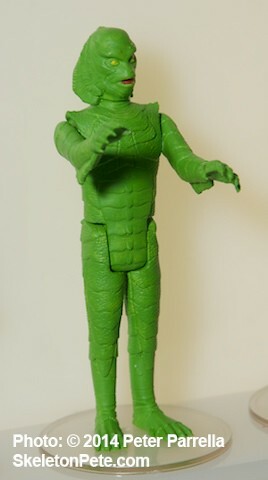 A bit less off the beaten path, classic Universal Horror fans will have there choice of 8 figures, including a rather dapper Invisible Man in smoking jacket, though the Frankenstein Monster is looking a little strange in a grey suit. 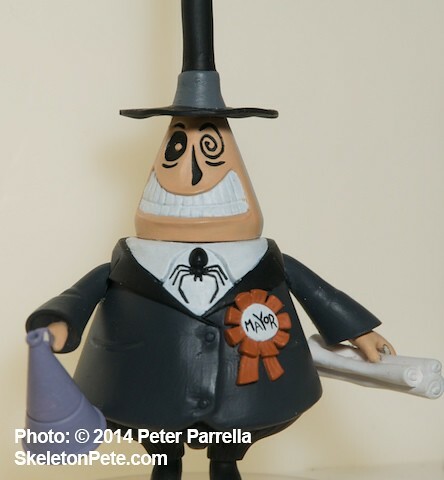 There’s also a selection of Nightmare Before Christmas characters. 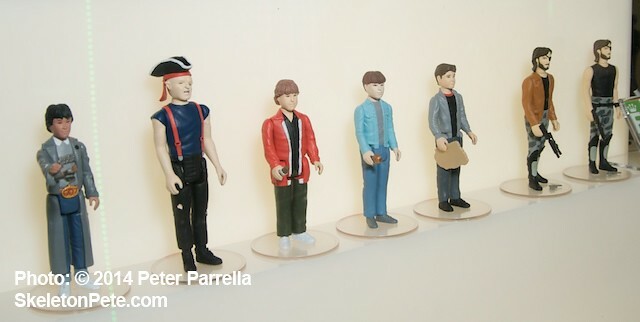 The individually blister-carded miniature series will roll out through the end of 2014 and retail for $9.99 each. 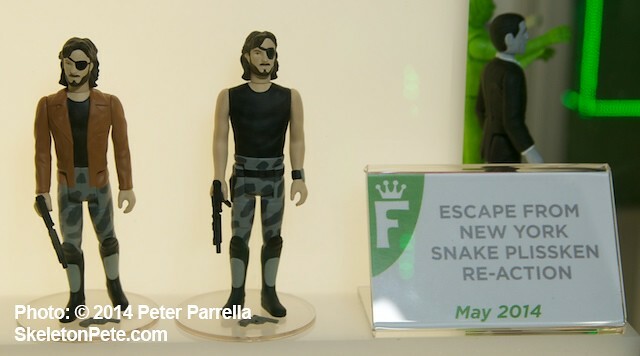 This is a pretty amazing assortment of licensed items released in a short period of time. 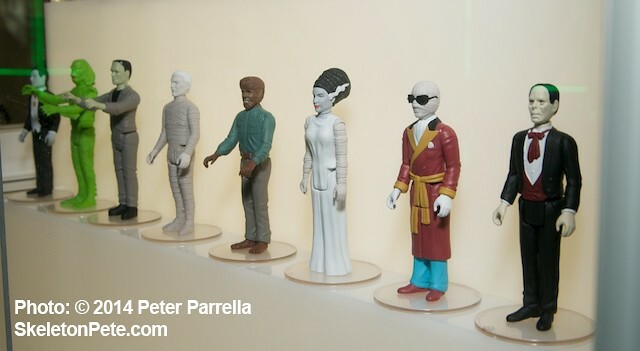 While I don’t see most collectors buying ’em all, there’s enough diversity to make lots of people covet at least 50% of the offerings. If there’s a Wave 2 down the road, I’d love to see Dusk ‘Til Dawn, Reservoir Dogs and Kill Bill, and Sucker Punch represented.